Refrigerators, while often regarded as silent appliances, can seem noisy if you sit and listen to them throughout the course of the day. 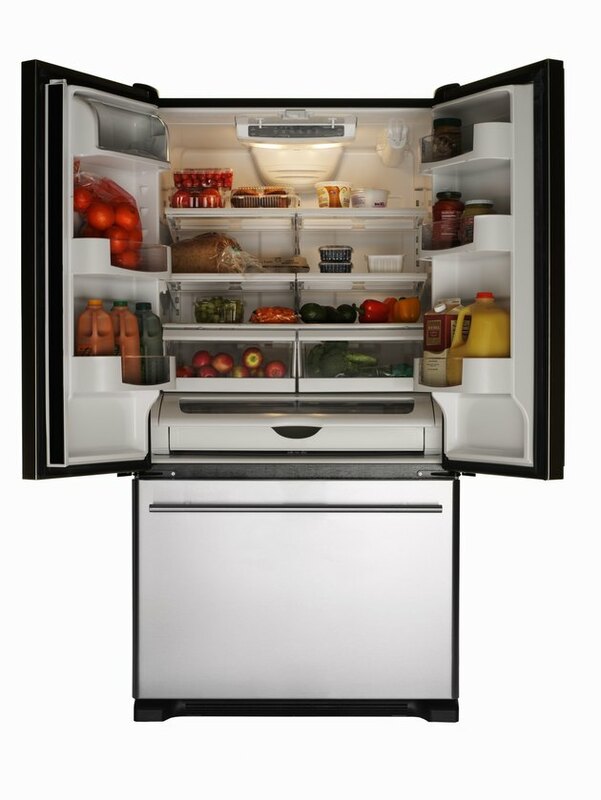 With all of its hidden moving parts, the refrigerator makes a variety of different sounds. The icemaker fills with water and pushes ice cubes into the tray, the compressor turns on and shuts off and the fan motor starts and stops on a regular basis. Creaking sounds and a variety of other sounds can be heard coming from the refrigerator, but they are usually normal occurrences during the operation of the appliance. Refrigerator noises are often normal. Determining the source of your creaking noise is really a matter of determining where in the refrigerator the noise originates. The refrigerator may make the creaking noise near the freezer, indicating that the noise is most likely the ice maker. If it is coming from elsewhere, it could be the defrost timer. This can be located in a number of different areas, but is most likely located in the back or in the bottom beneath the kick plate. One of the more common creaking noises occurs when the ice maker is producing ice and the ice gets stuck in the teeth of the ice maker. The motor of the ice maker will constantly try to push the ice out of the ice maker and into the ice bin. This noise can be eliminated by removing the ice from the mechanism so it is no longer stuck. It is unlikely to cause harm to the refrigerator. The defrost timer can creak significantly when it warms and cools. This is generally the result of the expansion and contraction of the metal parts within the refrigerator as it warms and cools itself. As with the ice maker, this is not likely to be the result of any major mechanical problems and is just a part of the refrigerator's regular processes. Anywhere that your refrigerator has moving parts is a potential source for a creaking sound to occur. For instance, the condenser fan may experience some metal-to-metal rubbing as it starts up or the opening and closing water valve that lets water into the ice maker may also make a buzzing or creaking sound. Sometimes the sounds are similar and one person may hear a creak, whereas another might describe it as a buzzing sound. In most cases, the sound will be inconsequential to the health of the refrigerator, unless it is continuous.